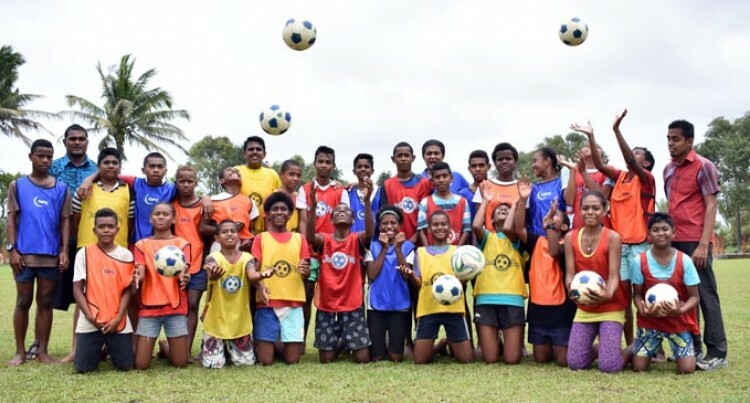 There is a bright future for the footballers of Lokia community says Nakaikogo Sanatan Primary School teacher and Fiji FA Development Centre co-ordinator, Kamal Prasad. Deo applauded Fiji Football Association for taking the initiative to open a development center at their school. “First of all I would like to thank Fiji FA for choosing our school as a football development center which has helped us very much as far as our football is concern,” Prasad said. Prasad said they had achieved a lot after the development centre was open last year. He said the interest in the students had been growing every week. “If you look at it the interest from the children is growing every week and they have been improving a lot in terms of playing,” Prasad said. Prasad said the support from the school management, teachers and parents was huge. Prasad believes there was lot of potential players in their centre. He said some player were already part of the youth teams. “This is a feeder programme for the community and I am sure these players will be a huge asset for the clubs here as they are developed from the grassroots. Prasad said Fiji FA had taken the right pathway in their mission 2026. The students he said also were holistically developed with the programme. He said they would continue with the development program set up by Fiji FA and next year they would bring back the glory again to the school. The Nakaikogo Sanatan Primary School is one of the many development centre established by Fiji FA in the grassroots development of football in the country.